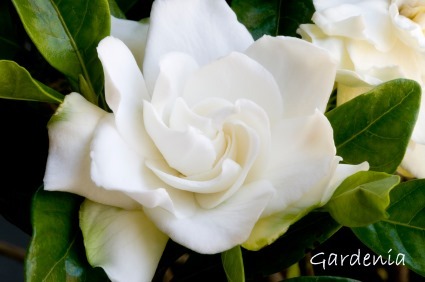 Good gardenia care will ensure long-lasting blooms and a long-lived flowering house plant. Beautiful, little gardenia shrubs make welcome gifts. If you buy a gardenia for a loved one, be sure to treat yourself, too. Gardenia needs some attention year-round to thrive. But you won't mind. Gardenia's intoxicating fragrance and creamy white blossoms make it all worthwhile. As soon as flower buds appear, step up your game and give it the perfect growing conditions. Find a good place for your gardenia in a well-lit area that's draft-free. Natural gas fumes will harm the plant, so growing gardenias near a gas stove or fireplace isn't a good idea. Gardenias enjoy spending the summer outdoors. If you put it outside, keep it in a shady spot. Bring it back in if the temperature drops below 60°F. 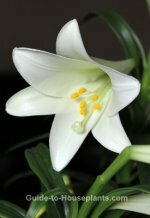 Happy plants may bloom a second time in the fall. Pruning gardenia plants in late winter will keep them in good shape. Cut the stem at an angle, just above a node (the place where a leaf or branch is attached to the stem). Use sharp pruners to avoid tearing the stems. Repot in late winter. You can control its size by keeping it in a smallish container. In fact, gardenias are sometimes grown as bonsai plants. Cool nights (60°F) and warm days (75°F) will trigger flower buds. Gardenia flowers need plenty of light to bloom. 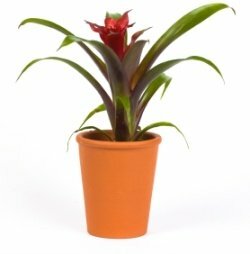 Place your plant where it will get several hours of bright, filtered light each day. Flowering plants are thirsty. Dry soil will cause the buds to drop. Check the soil at least every couple days. Keep it moist but not soggy, which can also cause buds to drop. You'll find gardenia plants for sale in the spring and summer, when they're in bloom. The most common gardenia for growing indoors is 'White Gem', a dwarf gardenia variety reaching only 2 ft (60 cm) tall. If you want a bonsai, gardenia 'Radicans' has an upright form, making it a favorite for shaping a gardenia tree. Light: Bright indirect light. Some direct sunlight in winter is fine. Water: Keep soil evenly moist during the growing season, slightly drier in winter. With gardenia yellow leaves are usually caused by overwatering. Use a pot with a drainage hole and allow soil to dry slightly between waterings. Humidity: Gardenias love humidity. Use a room humidifier or place the pot on a tray of wet pebbles. Misting is also a good idea in summer. 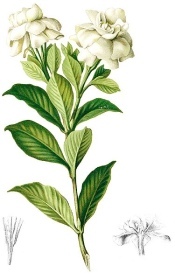 With gardenia care should be taken to mist the foliage, and not the flowers. Soil: Lime-free acidic potting mix, such as a peat-moss based mix. 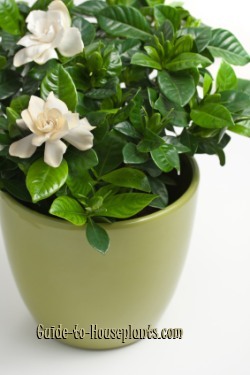 Fertilizer: Feed gardenias during the growing season to keep them healthy and flowering. Use a fertilizer specially made for acid-loving plants. Feed every 2 weeks with a high-potassium fertilizer that contains iron, diluted by half. Only fertilize when watering to avoid fertilizer burn. Propagation: Take 3-inch (8 cm) stem tip cuttings in spring or early summer. Dip cut ends in hormone rooting powder, then place in moist potting mix. Cover the plant with a cloche or a plastic bag to maintain humidity.